Bamboo vs. Laminate Flooring. Which is Best? When it comes to house design, too much attention has to go to flooring. Since it dictates the cost of housing, interior design and the overall experience in your house, it is only necessary to get the best. In the flooring field, laminate flooring, and bamboo flooring are becoming a trend. Not only do these make floor installation easier but also they assure you more extended service. Although laminate flooring in is on the rise, two materials are increasingly popular. However, the question for many remains: bamboo vs. laminate flooring which will suit me best? To help you get an answer to this, we compared the duo and came up with this review. 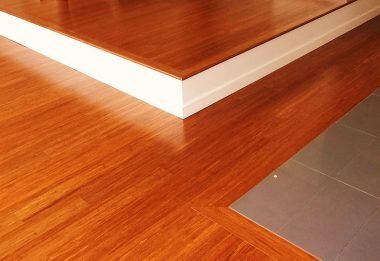 Although both bamboo and laminate floors rank among the cheapest floors, a small margin exists between them. 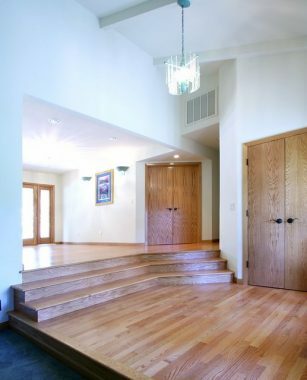 With bamboo flooring, you are going to part with a more significant sum of money than what it would have cost you for the counterpart. A substantial element for comparison of bamboo vs. laminate flooring is the ease of maintenance. Given that both floors showcase a long-lasting duration of service and are resistant to abrasion and come in shades that don’t quickly wear out, the maintenance is affordable. However, this all depends on where you use your material and the quality of the board. Ensure that you don’t install laminate floors in areas frequented with water and also make sure that you invest in quality boards. What makes bamboo better than its counterpart; however, is the fact that you can fix it when still installed on the ground. Unlike bamboo, laminate floorboards that are ruined have to be detached and replaced with entirely new pieces. If you have asthma or are allergic to dust, being able to keep your floor free of dirt and pet hair is only necessary. With bamboo and laminate floors, you can quickly clean them off with a single wipe. However, when getting your boards to ensure that they bear the color similar to your pet hair thus not showing your floor to be dirty per se. Also, when cleaning laminate floors ensure that you dry off the surfaces, thus preventing the adverse effects of water on laminate boards. Like laminate floors, bamboo floors are installed by nailing. As such, you take a longer time to affix each block to the other and increase the overall process. Laminate floors, however, are easier to install thanks to their joint-lock feature. Having said this, it is wise to engage a professional for flooring thus bringing about a neater look for a small amount of money. With laminate flooring, you have to be keen to check for any errors to avoid clashing patterns on your floor. With bamboo, however, getting a low-quality plank would subject you to excess noise when walked upon therefore ruining your comfort overall. If you are frequented with guests, or you have children and pets, you have to think about abrasion of your floor as it may force you to replace boards frequently. For this, laminate wins over bamboo as the latter wears out like laminate flooring therefore not ideal for kids and pets. Another major win for laminate when you compare bamboo vs. laminate is the broader variety of photo finish provided. Since laminate floors mimic any finish correctly, they give you the desired outcome and also allow you to be creative on patterns. 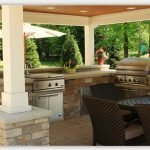 Although you want to change the floor of your house frequently to keep up with house design trends, replacing floors on an annual basis is not the ideal way to go. As such, considering the lifespan of your flooring options is only necessary. With bamboo, you expect up to thirty-year service; however, with laminate flooring, you can get up to twenty years if well maintained. With bamboo, you can always scrape the top and refinish your wood to conform to your design needs. However, ensure that these are not exposed to an area where they can seep water as it may lead to faster damage. As such, ward away from areas like kitchens and the corridor near your lavatories. 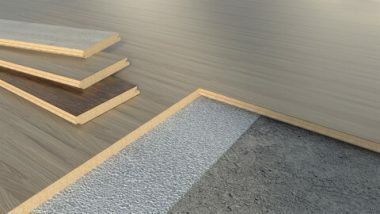 If you are looking for affordable flooring option, laminate and bamboo are the top contenders. However, bamboo is more susceptible to scratches; therefore, may need more care. With laminate flooring, the chances of error are not as often, but when they occur, they require you to replace boards entirely. As such, bamboo wins the durability test; therefore, may prove an ideal pick for flooring. Jamie is a mother to 8 children and an avid cook. She enjoys theatre from both the audience as well as being on stage. She has been writing stories ever since she could put pen to paper and still enjoys doing so today. Her passion for food has her often creating new recipes to try on her family, who are always happy to sample. Jamie graduated with a diploma in Social Services and has worked with children for most of her life. She now writes for Vancouver Mouldings and Floors Inc. and helps them in their content promotions.